Hello! This is my first ship pack. 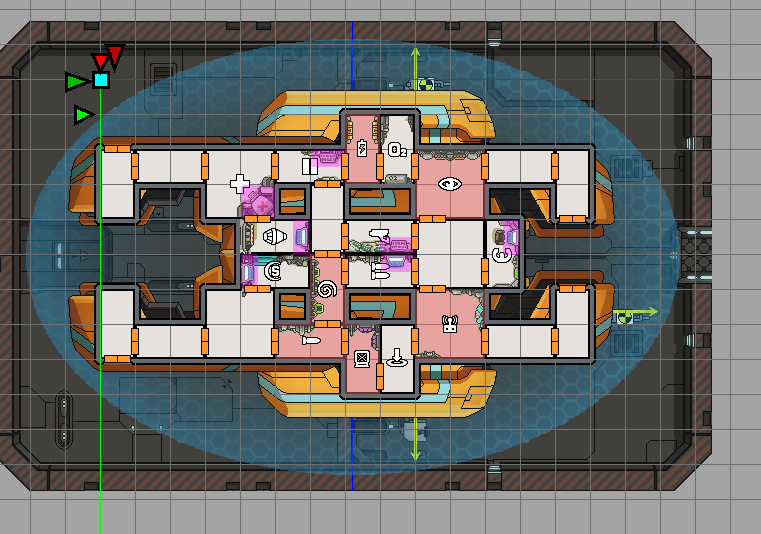 It contains 6 ships, all of which have different playstyles. It's also Australian Halloween, so i guess this is a spooky ship pack now. 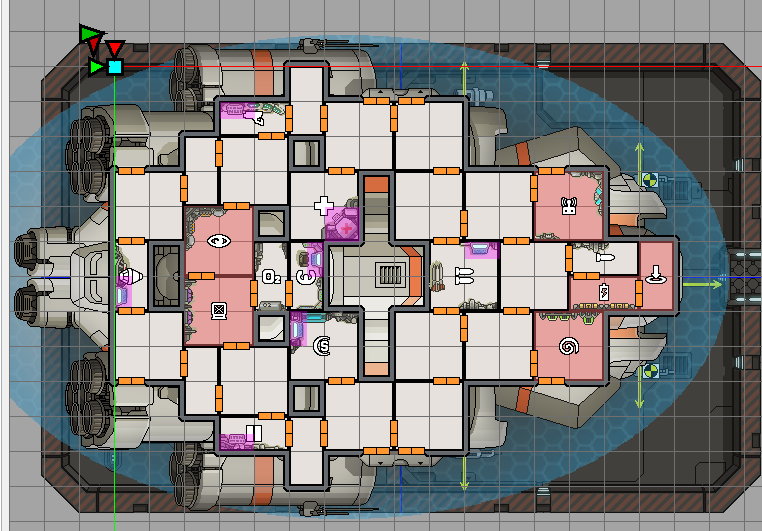 This cruiser was made by the Lanius in an attempt to make a ship that would be good for short-term ambushes. Before a complete shield system could be installed on this particular ship, the rebellion occurred and the Lanius left this ship behind. Months later, after the rebellion had moved away from the sector creating this ship, a small team of Lanius with ties to the Federation found this ship. After building the cruiser, the Federation realised only Lanius could pilot it. The original team of Lanius who had fetched this ship were called back to pilot this ship, as well as deliver precious intel. NOTE: This ship does not come with Oxygen. Buying it will do nothing. This ship was a modification of the previous ship as to allow non-Lanius beings to pilot the ship. Because of that, many parts of the ship had to be changed. they found it to be empty, with faint bloodstains covering the walls and uninteresting crates. Investigating a small crate of miscellaneous items, they found a small piece of data. Finding out its importance, the Zoltans headed to the Federation base with the rebels right on their tail. Although originally a cargo transport ship, this cruiser was armored and weaponized by scientists in the Federation. Due to the rebellion, only one was of this was fully completed. 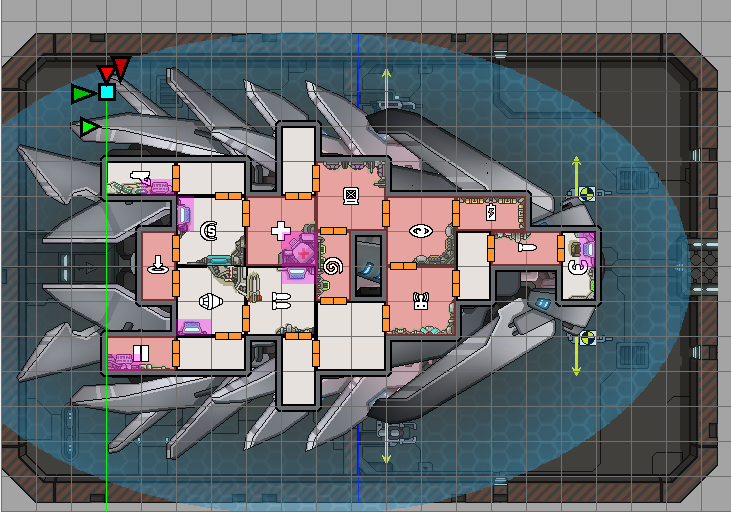 The base constructing this ship was under attack by rebels, and few Fed. scientists were able to escape using this ship. Before they left, they did a scan of the fleet attacking the base and found the Rebel Flagship. With this intel, the crew of the ship went off to the last Federation base. This ship was once originally the standard for Federation assault ships, but the rise of the rebellion said otherwise. Rebel ships heavily outclassed this ship, and many were destroyed in combat. Few remain, and this is one of them. Personally upgraded, the cruiser, its captain and crew set out to the Fed. base with information about the rebel fleet it had received from a nearby outpost. The rebellion had a fine fleet of ships. They were powerful, and some made even more so with personal customization. This scout ship had additional armor plating to increase its durability. One day, this ship and its crew went to assist a rebel bombardment of a Fed. outpost. The station's defences were holding for now. The crew, using its teleporter, beamed to the outpost. Many inside were injured, some dead from the assault. The crew killed everyone inside with a few members of the crew dying. The defences stopped. The outpost's resources were free for the taking. The ship's and its captain were congratulated. However, the cruelty of killing all those Federation members, as well as a few civilians, got to the crew. Using data from a computer, the ship's crew defected to the Federation in hopes that this madness could be stopped. Last edited by please dont touch me on Wed Nov 01, 2017 9:41 am, edited 3 times in total. Hmm, this is a fairly neat and nice pack of ships, well done! 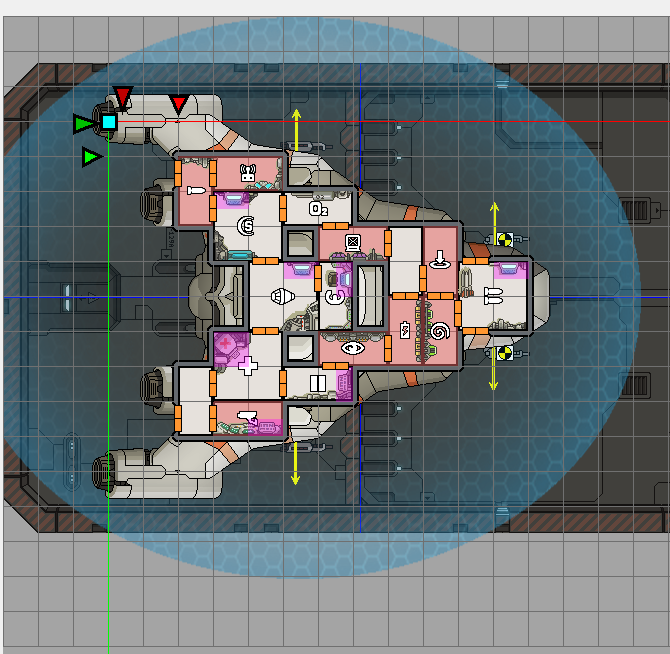 -(The Arkus) In the IMAGE (not in-game) appears the piloting and artillery room and intersecting each other, might want to fix that. (You also haven't assigned a room for o2, meaning you will be able to purchase it, but will not appear in the ship -- wasting scrap.) It's also extremely overpowered, its recommended to not have a pre-igniter as a starting augment, combined with shields and a glaive beam -- it simply screams OP. -(The Ambassador) In the post's description, it doesn't include the fact it has a zoltan shield. Otherwise the ships are rather generic and standard. 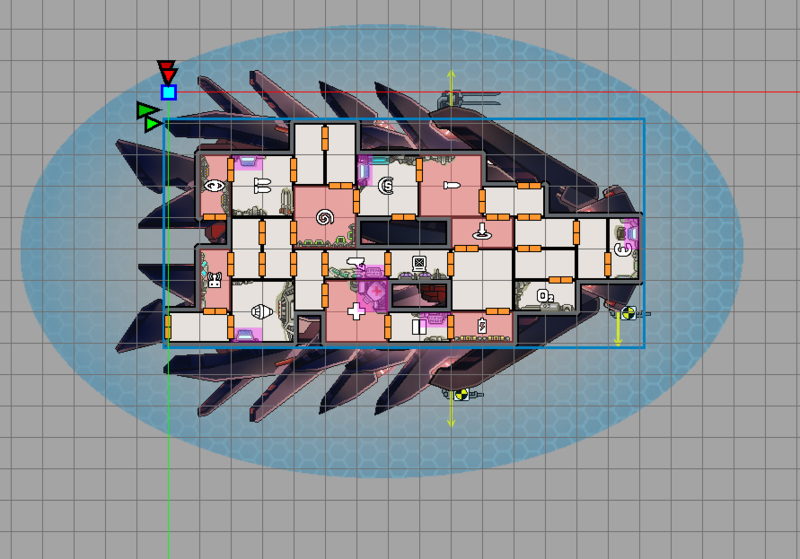 In the IMAGE (not in-game) appears the piloting and artillery room and intersecting each other, might want to fix that. I've fixed that now, or it should be soon. You also haven't assigned a room for o2, meaning you will be able to purchase it, but will not appear in the ship -- wasting scrap. 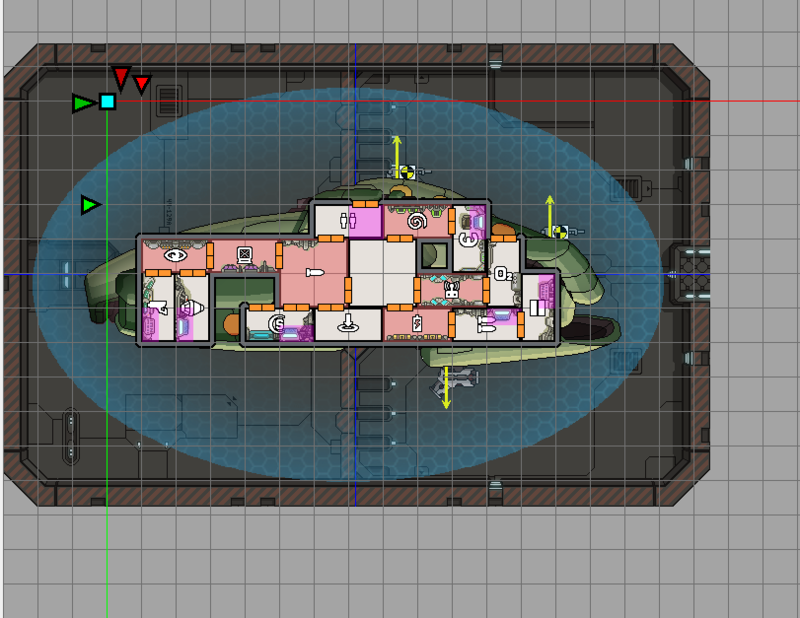 I've made the ship like that so that only Lanius can pilot it. Should probably add a note about that. That's the main gimmick of the ship. combined with shields and a glaive beam -- it simply screams OP. I've nerfed the weapons to a Halberd Beam and dual laser. Didn't pick that up, thanks! Fixed now. I don't use GIMP, but I may use GIMP later on.